I’d have been wiser if I discovered this book as a kid; but it’s as good now, if not more, as it would’ve been back then. Reading this timeless wonderful narrative was a profound experience. The feeling, maybe, was fuelled because I read it just after Zen and the Art of Motorcycle Maintenance. 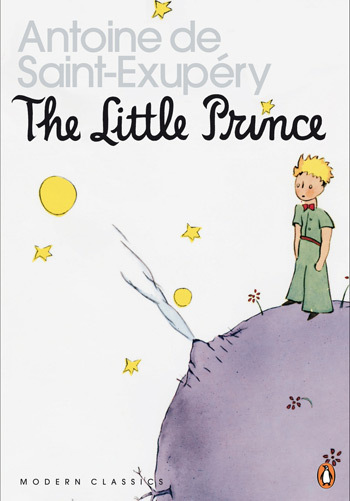 The story is of a little prince who comes to earth from a far off planet where he lived with his volcanoes and a rose. On Earth he found many, but none as sweet as his own. For it’s another thing to be tamed, to belong, to love. Antoine de Saint-Exupéry (French people and their names!) has captured the profoundness of a child-like perspective. I was in constant awe and delight. Children should show great understanding towards grown-ups. But, of course, for those of us who understand life, we could not care less about figures. And since it is beautiful, it is truly useful. What a story, what an experience and what a profound explanation of human psychology. And that too in these many words, in a children’s story. It doesn’t get better than this.